SOM recently unveiled plans for a new urban center in Beijing’s Dawangjing District that will feature an integrated heating and cooling solution designed to reduce energy use and carbon emissions. The new development will include a central park that utilizes a geothermal heat-exchange system to help passively heat and cool all of the district’s buildings. 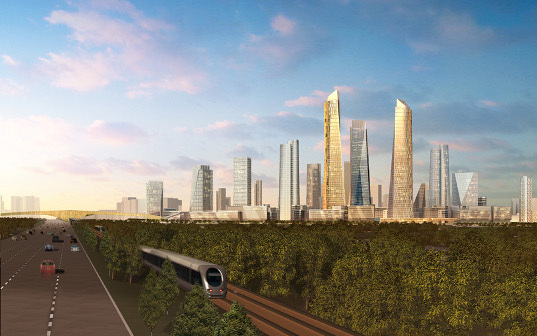 Located 11 kilometers from the Beijing Capital International Airport, the proposed district will include multiple public parks, cultural attractions and high-rise buildings that will welcome visitors to the capital city. Part of the plan to minimize carbon emissions is to use the central park as a “sustainable engine” or geothermal heat-exchange, which would help to passively heat and cool the district buildings instead of using water and energy-intensive cooling towers. The new urban district will also have a strong focus on public transportation, aiming to get 80% of residents and workers traveling by subway, streetcar, biking or walking. Multiple transit stations are proposed along the M15 subway line, which ends at the International Airport. A series of streetcar lines have also been proposed along with a vast network of bicycle lanes, which will help reduce car traffic. 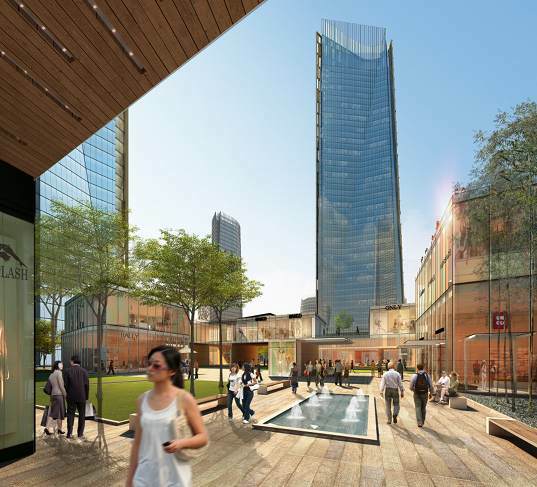 SOM recently unveiled plans for a new urban center in Beijing’s Dawangjing District that will feature an integrated heating and cooling solution designed to reduce energy use and carbon emissions. The new development will include a central park that utilizes a geothermal heat-exchange system to help passively heat and cool all of the district's buildings.